Before the advent of the internet, the process of learning was clearly tedious. Students would expend a lot of time and energy at the library scanning through volumes of book to get just a single paragraph of information. The internet has lifted a huge portion of that work off the students making learning even more fun and extensive. The internet is a global network of computers that facilitate the sharing of information easily. The internet is accessible on any internet enabled technological device like the cellphone and computer. Various facilities like search engine, social networks and website keeps information only a few clicks away. No matter the dangers posed by the internet, it still has a lot of benefits to the modern student as the following lines will reveal. 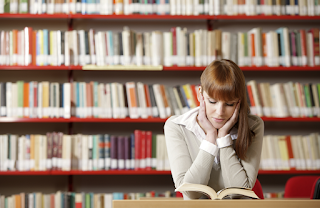 Easy Access To Information : As highlighted in the first paragraph of this post, students have been saved the stress of spending several hours in search of the book which has the information they need. The internet can provide answer to several questions making it an ideal mobile library as it can be accessed at any time. Cheaper Learning : The cost of accessing the internet is cheap meaning that people from all walks of life can use it. The cost of downloading an eBook is relatively cheap when compared to what a student will pay to get a hard copy version of the same information. Online Courses : Students can learn from the comfort of their home by enrolling for online courses offered by educational websites . The student can thus combine learning with earning a living as they can now work during the day and learn at night. These online schools also doesn’t require paying huge sums as tuition fee because you pay as you learn. Global Student Interaction : Students from various parts of the world meet on the social media which is one of the internet facilities. Students can easily interact and exchange ideas even though they are miles and oceans away from each other. A student who also missed a class can also chat up a fellow student online while in other cases,students build online groups and forums where they share ideas. A good example of such group is the Innovative Students group on Facebook sponsored by this blog. Advanced Learning :Owing to the existence of the internet, students can now ask and get answers to questions about various fields of learning. The search engine is just ideal for this purpose and explains the reason while students of this age usually know more. Entertainment : Internet can serve as a boredom repellant. Games, music and movies helps develop a students IQ. The holidays provides lovely opportunity for students to get entertained by the internet. There are several other positive effects of the internet on the Modern Student. Drop them in the comment section.